Thorn: Ocean’s dying, plankton’s dying… it’s people. *Soylent Green is made out of people. * They’re making our food out of people. Next thing they’ll be breeding us like cattle for food. If you have never seen the cult classic sci-fi movie “Soylent Green”, you’re missing out. The post apocalyptic film stars Charlton Heston (yes, THAT Charlton Heston) and features a running gag that has ran rampant throughout American culture. And that is the fact that Soylent Green is made out of people. …maybe I should have put a spoiler alert for those that haven’t watched it yet. Flavor: If you have never tried pistachio ice cream, it has a few very unique characteristics. A smooth and sweet base combines with a salty flavor pinch in every bite, and this bottle is no different. It’s a nice twist if you are looking for a different kind of dessert vape in your lineup. Final Thoughts: Some might be turned off by the saltiness of this flavor, while some might prefer the complex alternative to their normal vaping lineup. Either way, this adventurous little bottle makes me look forward to the rest of the Vape Wild lineup! 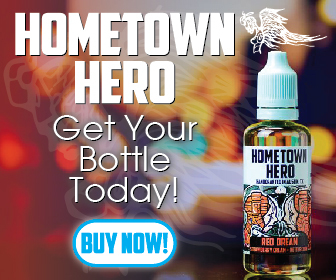 Vape Wild has an incredible selection of juice and hardware to choose from. If you are a fan, their VapeWild AF program might be something worth looking into. 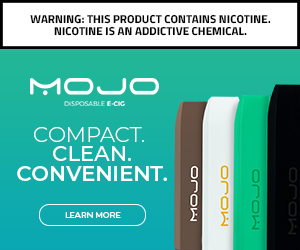 If you guys want to check this out or any of the other flavors (and there’s quite a bit), click the banner below and support this website! Soylent Green – $6.99Shop from hundreds of flavors of e-juice available in the US. From candy to cocktail and fruit to tobacco, you’ll find your new, favorite all-day-vape here. Next Next post: Mystery Monday! !